I Learn With Fun - Words provides sets of animated flashcards that will help you learn how to read, and write words in English! Realistic images are associated with each card. "Find word" game will help you to practice, and enforce learning. Cards are grouped in decks, and each card contains realistic image describing the given word, animation and sound of the word pronunciation. Total of 200+ unique cards. Rate us, join us on Facebook, and leave feedback! 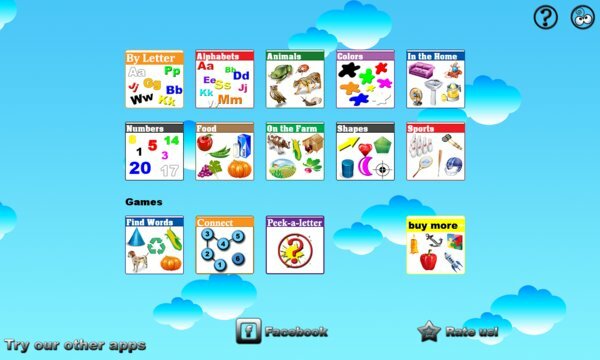 See other "I Learn With Fun" apps available in Windows phone store and in Windows Store! - decks of cards classified in groups as: alphabets, animals, colors, food, on the farm, shapes. - total of 200+ unique animated cards!